Makeup has become a must-have for most women and recently men. Beauty gurus can have a massive collection of makeup if they’re constantly reviewing or trying out new products. 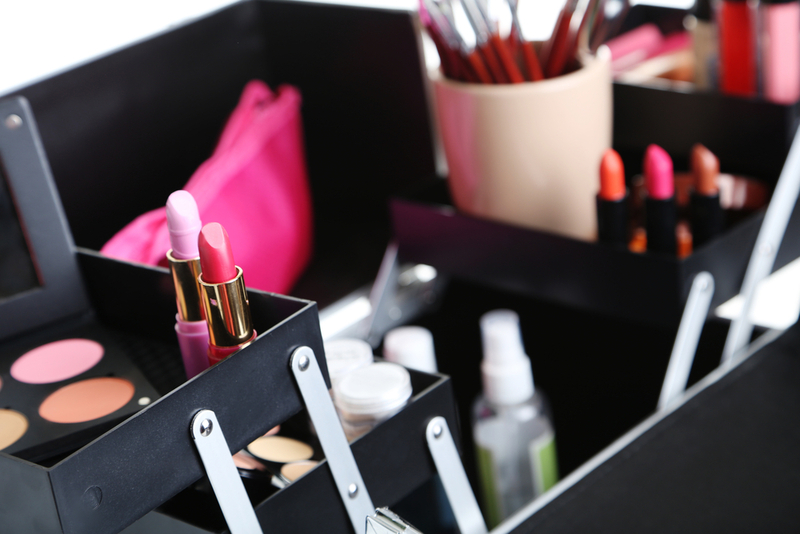 Whether your expanding makeup collection is overflowing or you’re just needing a temporary storage solution, storing makeup can be tricky. The professionals here at Affordable Family Storage are here to let you in on all the storage secrets. Makeup is made out of many different ingredients that can become unstable if left in harsh environments. If left in conditions that are too hot or cold, the makeup can crack, melt, or become unsafe to use on your skin. Using climate-controlled storage will keep the temperature in your unit stable so you don’t have to deal with melted or destroyed makeup. Ask your storage facility what temperature the units are and use this knowledge to check the product labels on your makeup. Any products that can’t be stored in this temperature need to be thrown out or stored elsewhere if you plan on keeping them. For products that are known to spill or be messy, plastic containers are the best way to keep makeup. Plastic containers are easy to stack, and can be cleaned easily in case of spills or messes. Make sure to buy bins that work well for the products your storing. It’s probably not the best idea to store lipsticks in a huge container. Instead, look at smaller plastic containers if you’re wanting your collection to be more organized and easy to find. Even if you are a master packer, there is always a chance products can spill or melt out of their containers. When packing these products be sure to tape around the rip of product to avoid any spillage. Products that have pumps need to be taped as well as makeup palettes and containers that can easily be opened. For lotions and other spray products tape the opening mechanism closed so no product can be ejected. After everything is secured, wrap your products in bubble wrap or newspaper before packing them in containers. Be careful not to overpack bins and leave some breathing room for the products.